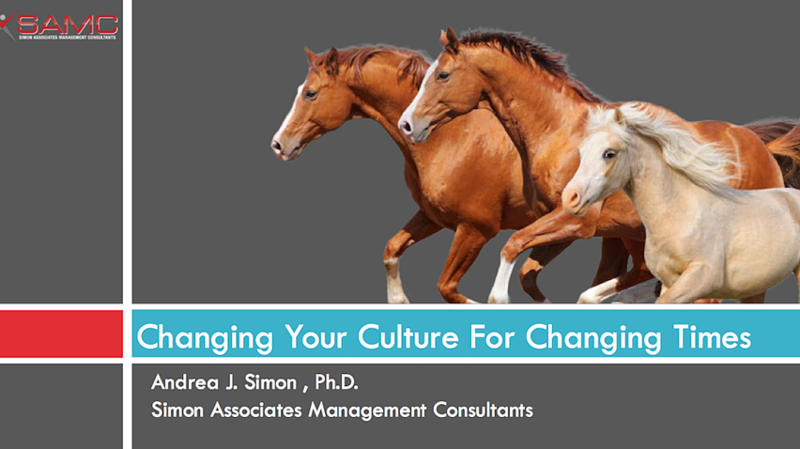 LP Request for Workshop Download: "Changing Your Culture For Changing Times"
Thank You for your interest in our SAMC Culture Change Workshop! We specifically designed this workshop so you can learn how to diagnose and change your company's culture to adapt to today's rapidly changing times. Gain a better understanding of a company's culture — even your own! Learn about the Organizational Culture Assessment Instrument (OCAI) and how to use it to assess your culture. Determine what you would prefer your culture to be in the future. Understand how to start the change journey. We'd like to discuss culture change with you and show you how to apply it effectively to your organization. Please contact us.